Last 2014, I spent my Christmas and New Year holiday in Israel. It was a very memorable experience! I got to travel with my sister Joy and the entire trip was a whirlwind journey and very exciting! It was actually more of a tourist trip rather than biblical (I am planning to do this pilgrim hopefully very soon). My original plan was to rent a car but unfortunately, my credit card was not being accepted in this country. Apparently, UAE cards cannot transact into any Israeli banks for some reasons. It was a good thing that I prepared a lot of cash as I had an idea that it will happen but I still had a doubt. So my itinerary was changed in an instant! 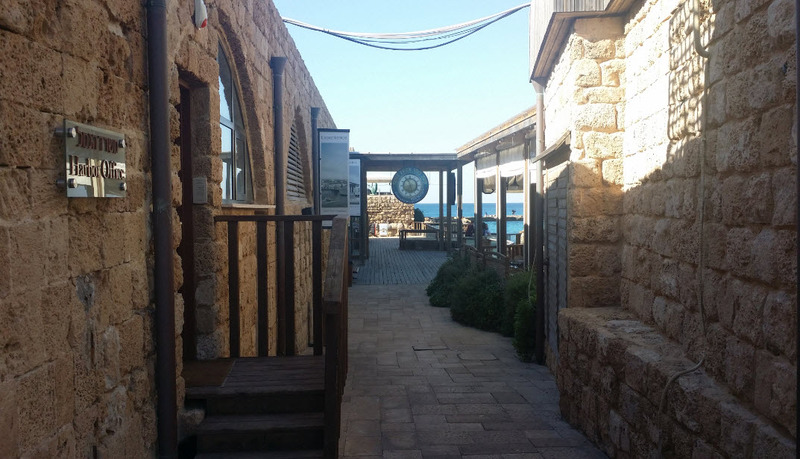 We arrived there on Christmas day and reached our hotel Ateret Suites in Tel Aviv. The hotel’s location was very hard to find but we still managed to reach it (thanks to the very kind cab driver). The hotel room was big enough for us and is walking distance from the beach. So we stayed a night and the next day, we took a bus going to Tiberias. 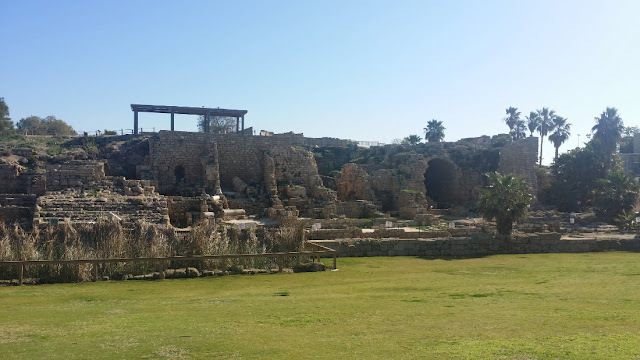 We first visited then the Caesarea National Park. 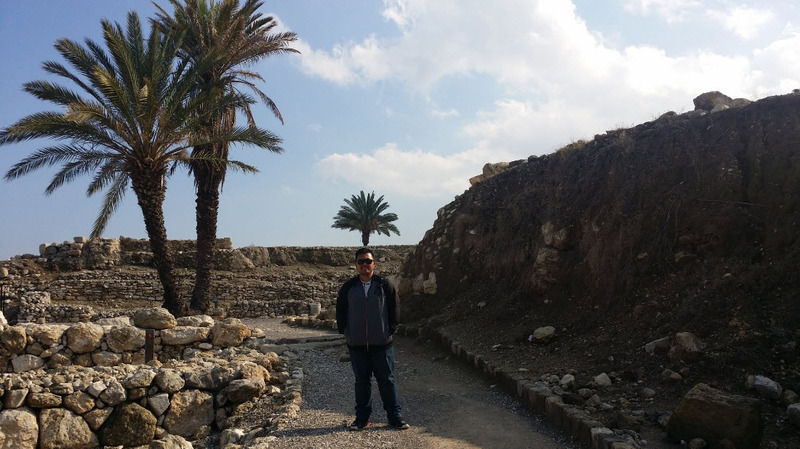 It was so fulfilling to stand on the ruins of what once a Roman civilization. It was like history unfolding right before my eyes. It was so beautiful and properly preserved though there were some minor repairs. The park displays several areas to display the early ways of living in the ancient times. Also, the radiant blue rays from the Mediterranean sea was a perfect addition to make this as one of the most memorable parts of our trip. The place is so large that it will require almost a day just go around it. Fortunately, there are some small restaurants, pizzeria and coffee shop in the park. Also, you can buy souvenirs from its gift shop. We returned back to our hotel in Tiberias almost 5PM and trust me, it was a very difficult time getting a bus. It was like we were in the middle of nowhere. We arrived at G Hotel Tiberias at almost 7PM then rested a while then took a sumptuous dinner. 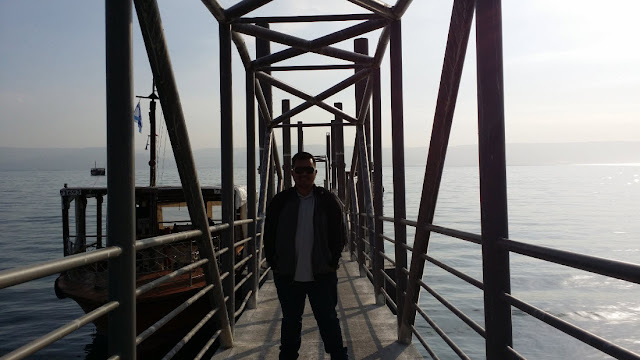 On the 27th of December, it was time for us to cruise the Sea of Galilee. It was a magical moment for me and during the ride, we had some praise songs. We also took a moment to reflect and the breathtaking view of the sea was like embracing me and bringing me to another place of happiness. The crystal water and wind was upon our faces and that moment was very refreshing. 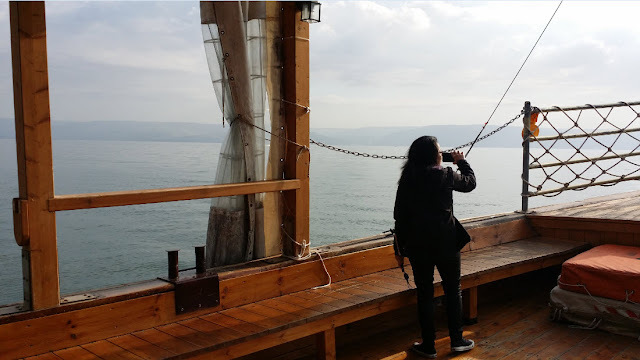 The boat ride brought us back to Tiberias. From there, we decided to rent a taxi that brought us to other destinations. 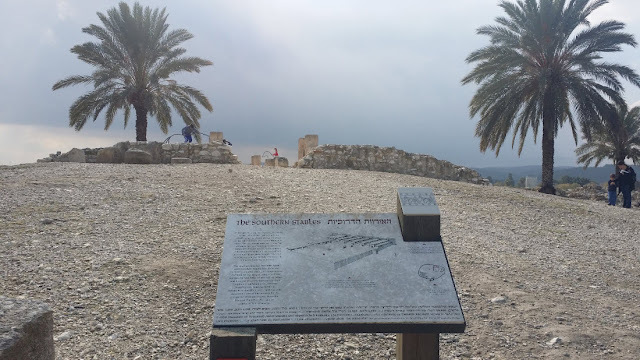 We went to Megiddo National Park. It is a protected site in Israel. Wandering around was relatively easy as it was leveled through several cities and civilizations. The sight is indeed amazing. It was like a complete layer of history, city walls, gates and ancient stables. My sister tried to see and enter some tunnels as there were also many excavations in this historical site. 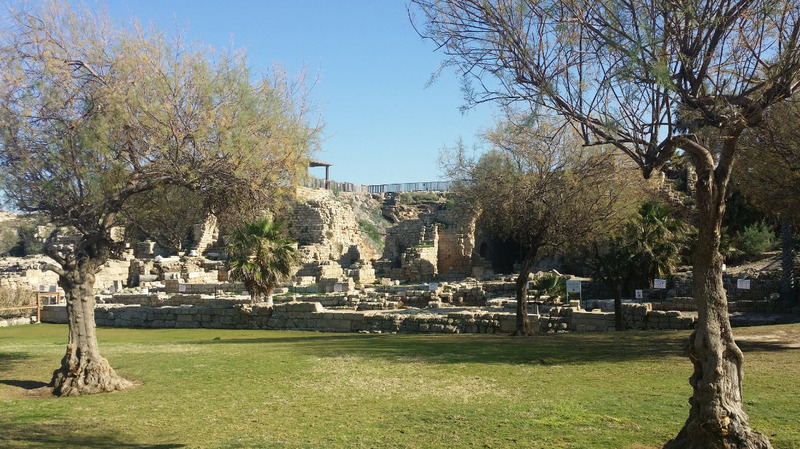 This park looks over the Valley of Armageddon and the view of it was one of my favorites. You will definitely feel that the ruins were authentic ancient structure. It was also the site of some epic and decisive battles down the ages. 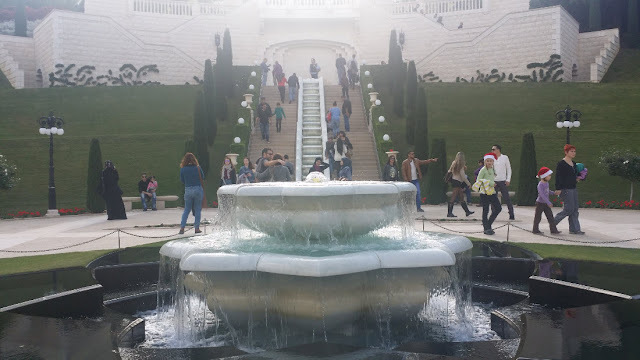 After roaming around the park for almost three hours, I instructed the cab drive to bring us to Baha’i Gardens in Haifa. Unfortunately, the top part of the site was close so I didn’t get a very good picture of it. There were many tourists around that time. It was beautifully maintained and from the place where we were standing, I can say that it was a beautiful garden though there are no special plants or rare flowers or something. Just make sure to check first on the internet or get some enough information about the opening of the gates to climb up to the top dome. Well, we didn’t take more time on it and we just decided to go next to Acre (Akko) in Haifa. The Old City of Acre is surrounded by old structures with several stalls that sell almost everything. From perfume to clothes to electric gadgets, just name it. But the good thing about it is that the old buildings were preserved and the way it presented to the people, it was like shopping in old ancient valleys and streets that were built long time ago. You can visit everything by walking. There was also a huge fortress and nice harbor walls. 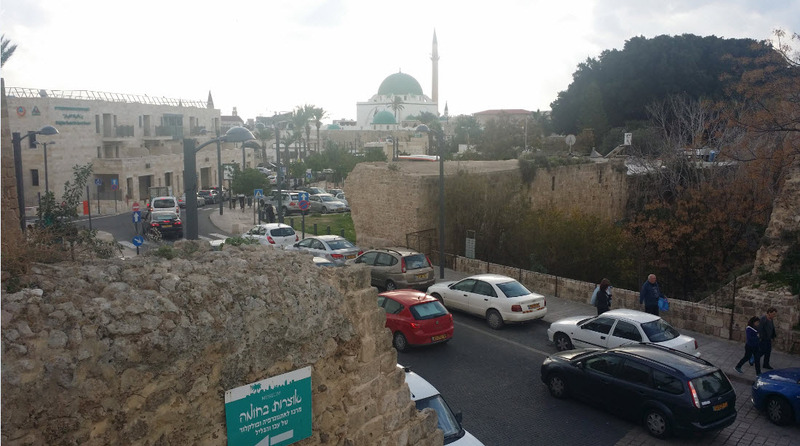 After walking around the old city for almost two hours, we decided to end that day. See below video to see more of the pictures we took during this part of the trip.